Are you ready for this year’s ‘salmonitis’ epidemic to hit the metro area? 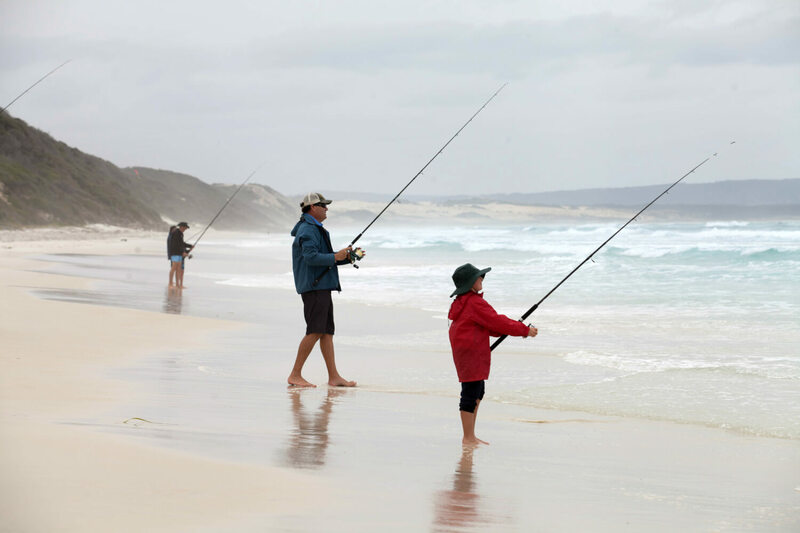 If you thought the man flu was bad, then you better look out for this annual craze that gets the blood pumping in any seasonal fisher between Perth – Esperance. Salmonitis begins as an increased use of social media, with your partner spending hours at a time staring at their phone, scrolling through the newsfeed and keeping an eye on the Facebook page – Salmon School Tracker 2019. It progresses into the need to suddenly layout all their fishing gear on the garage floor, carefully reviewing line strength, reel capability and determining what lures they have (and need). You’ll begin to notice over the next few weeks, your partner acting extremely helpful, suggesting they run to the shops on your behalf to ‘grab some milk.’ Running errands on Thursday evenings leaves you feeling suspicious but also quite grateful your partner is doing something useful and helping reduce the workload. It’s not too long before you’ll notice the increase in spending, the trip to the shops, become spending sprees with the bank balance slowly diminishing. If it’s not the shops they’re going to, it’s the online shopping that has suddenly taken a priority, except nothing actually arrives at your address, leaving you feeling puzzled. Instead, it’s been carefully re-directed to their work address, just to avoid the argument no one wants to have. It isn’t until you watch your partner squirm as they tell their boss they aren’t feeling ‘too well’ over the next few days that the dots begin to line up. It’s not a coincidence that your partner’s sick days become carefully aligned with days where the weather seems just perfect, 10-15knot easterly winds, with minimum swell. This is when you know they have an extreme case of salmonitis! Salmonitis is highly contagious and once you and the kids have it, there’s no turning back! As it comes in waves, on an annual basis, it’s something you can’t shrug off and pass off for another day. It’s here; it’s right on our doorstep and its value is extremely high. 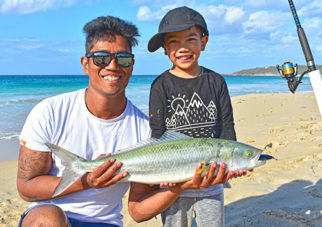 With more than 40,000 people expected to flock to the pristine white sandy beaches of the South-west, along with jetties and boat ramps over the upcoming weeks for the salmon season, this epidemic is not to be missed. Targeting these sensational sport fish allow you to reap the mental, physical, social and economic benefits they provide us, our partners, our families and communities. Each year when the migrating salmon move along the South-west coast, they attract a migration of fishers to the same area; a place they base themselves while they explore vast coastline in search of one of these salmon schools. These trips to the South-west bring family and friends who frequently explore the towns nestled along the coast buying fuel, bait, lures, fishing gear, food, drinks, accommodation, camping gear, and fishing gear and clothing. The economic return to these coastal towns cannot be underestimated; recreational fishing was recently valued at over $2.4 billion to the economy for the whole state, though it’s unknown just how much salmon contribute to this figure. 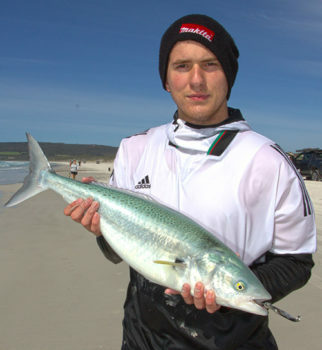 Many fishers are spending their hard earnt money to head South and try their luck at hooking into one of these fish. 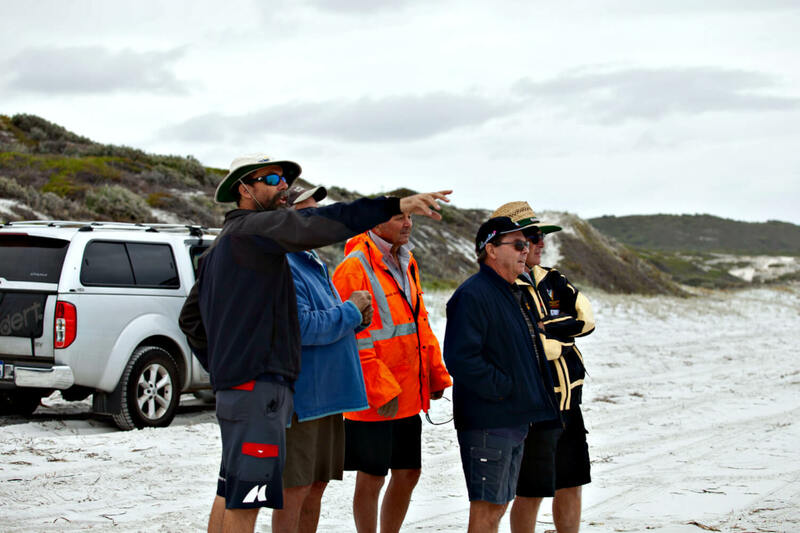 If you ever embark on a salmon fishing trip, you’ll easily understand why people come back year after year, showing just how much Australian salmon is valued by all members of the community and the South-west region. This year’s salmon season will be no different to those of the past, with plenty of hard fighting fish on offer and great locations to explore presenting a great excuse to head South with family or friends. Tell us about your salmon fishing! 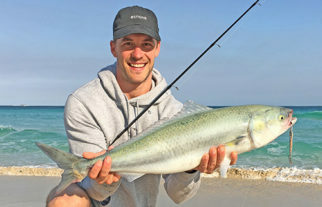 Sedin’s first ever Australian salmon! 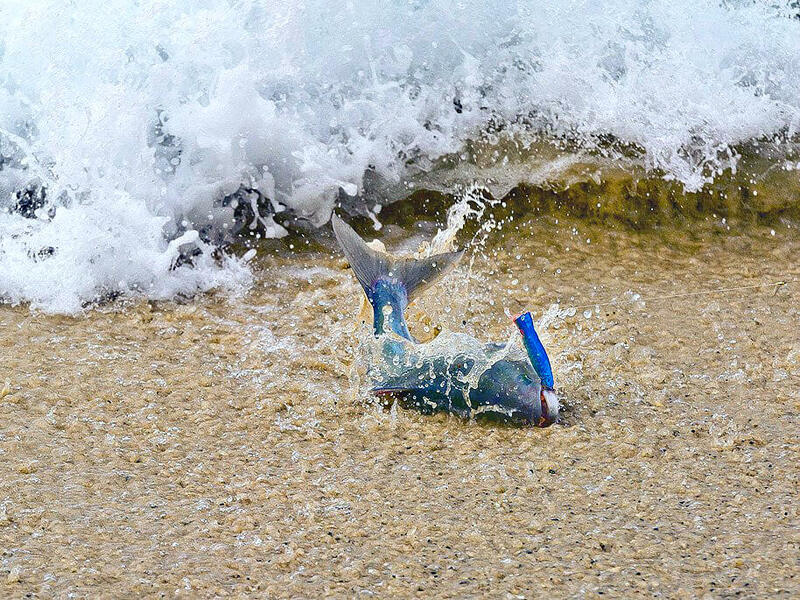 Recfishwest believes the pristine white sandy beaches of the WA coast combined with the splendid sportfishing qualities of this species truly makes this the world’s best fishing on the world’s best beaches. Help us determine the value YOU place on salmon and the benefits they derive as well as expenditure by completing the 10 minute survey. Click here. The survey is open until 30th June 2019. 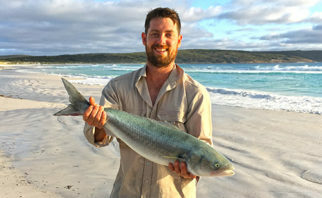 Your participation in this survey will allow Recfishwest to continue to advocate to ensure the great fishing experiences provided by Australian salmon are forever celebrated and enhanced. 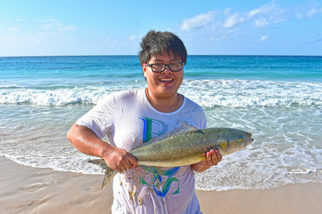 Ten minutes of your time now can help ensure a life time of great fishing for all.